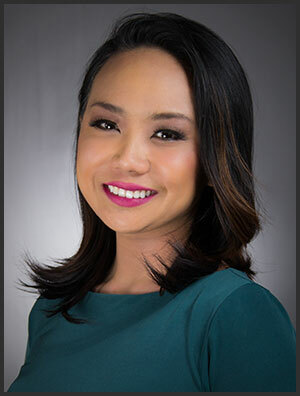 Jacquelyn Abad joined the CBS 58 team in March 2017 as a multi-media journalist and reporter. You can find her reporting out in the field on the 4 p.m. and 5 p.m. newscasts. She is excited to be in Milwaukee and experience four seasons! Jacquelyn was born and raised in southern California. A high school teacher told her that she should take a journalism course and that’s when her love for storytelling started. She studied journalism and Spanish during her undergraduate career at the University of Arizona. She then got her master’s in international journalism in one year. Before moving to Wisconsin, she spent nearly two years covering wildfires and the legalization of marijuana in Medford, Oregon at the ABC affiliate. When she is not reporting, you can find Jacquelyn trying out new restaurants and exploring Milwaukee. Jacquelyn loves meeting people out in the community, if you see her feel free to say hi! If you have a story idea, reach out to her on Facebook or Twitter. SPECIAL REPORT: Can Uber STILL find you faster than a 911 dispatcher?